This evening, we’re pleased to take the wraps off a new version of Pacific NW Portal: Version 5.2, codenamed Seal Rock. This is a maintenance release – the second in the Newport series – so there aren’t any grand, sweeping changes in this version. However, we think you’ll agree that the improvements we have made make the site more useful and functional. Like every prior release, Version 5.2 is named after an Oregon coastal town. 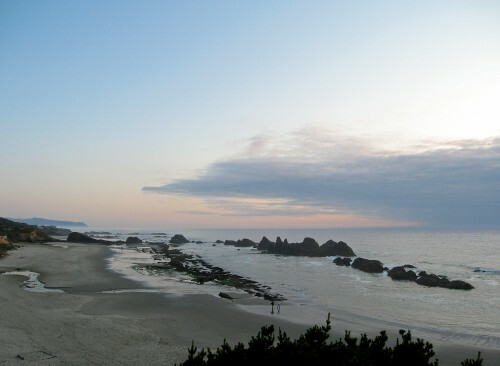 Seal Rock is a seaside village, located between Newport and Waldport. It is one of the many beautiful places that can be seen from a trip up or down U.S. 101, which stretches from southern California to Olympia, Washington. Seal Rock is one of more than a dozen unincorporated communities in Lincoln County. The following post constitutes our official changelog for Version 5.2. Please feel free to leave questions, suggestions for future versions, or other thoughts on Seal Rock in the comment thread. Pacific NW Portal moves to its own domain. In conjunction with the server move, we’ve given Pacific NW Portal its own domain: pacific.nwportal.info. With this change, all of NPI’s projects now reside at separate domains. NPI publications, like The Advocate (this blog), will continue to live at nwprogressive.org alongside NPI’s Core Encyclopedia. We think the new URL neatly encapsulates Pacific NW Portal’s proper name as well as its purpose: to serve as a newsreader and information hub for progressives. It’s also shorter, easier to say, and more memorable. Pacific NW Portal’s old domain now works again, too. Back in 2005, when we first launched Pacific NW Portal, it could be accessed by typing in nwportal.org (which would redirect to the Portal’s location under NPI’s primary domain). Unfortunately, a few years ago, that domain didn’t auto-renew like it was supposed to, and our unhelpful registrar – a GoDaddy reseller – sold it to someone else against our wishes. Following that incident, we severed all ties with GoDaddy and its affiliates (learn why you should too), and moved our domain portfolio to a new, customer-focused registrar (Tucows). Just recently, we succeeded in reacquiring the Portal’s original domain. So happily, nwportal.org points to Pacific NW Portal again. Campaign Buzz now includes many more campaigns. The front page’s Campaign Buzz feed now indexes blogs for candidates in high profile races around the Pacific Northwest, including Jay Inslee, Bob Ferguson, Jeff Merkley, and Jon Tester. In addition, we’re tracking netroots-supported candidates in federal races elsewhere in the United States. Our thanks to all who continue to support Pacific NW Portal. Enjoy the new version! Want to help beta test Pacific NW Portal 5.0? Pacific NW Portal 5 launches tomorrow! © 2019 The Northwest Progressive Institute. The Cascadia Advocate loaded in 0.183 seconds.